Many prepackaged trail mixes are very expensive, plus they might have extra added sugar or salt that you don't need. 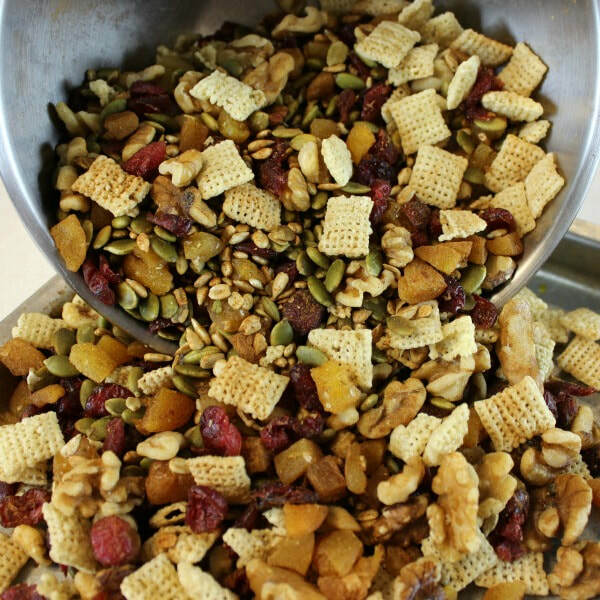 You may never buy a bagged trail mix again after you try our recipe! We've also got Sweet and Salty Trail Mix you should try too! Mix apricots, cranberries, walnuts, seeds, and cereal in a bowl. Sprinkle some of the cinnamon and stir. Repeat until all is covered. ​Divide trail mix into 8 baggies.